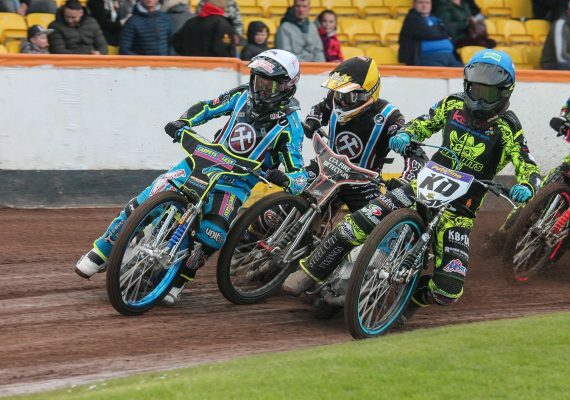 Lakeside suffered their first setback of the season as they were beaten 49-41 away at Berwick. Will Pottinger’s side fell agonisingly short of a consolation point after a hard-fought Championship encounter at Shielfield Park. 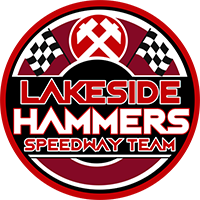 It was a tough night for the Hammers, who were without Richard Lawson and Adam Ellis then lost guest Ulrich Ostergaard to a heat three crash. And whilst their depleted side showed plenty of spirit, it was not enough to prevent them making the long trip back to Essex feeling frustrated. “It was unfortunate that we just missed out on a consolation point, but it was just one of those nights,” Pottinger declared. “I feel sure we would have come away with something if we hadn’t lost Ulrich Ostergaard so early on. It was a shame to see him crash out in heat three and we hope he’s not too badly injured. “We were on the wrong end of a couple of decisions and a few things just didn’t quite fall our way, and that’s the way it goes sometimes. “Alfie (Bowtell) and Kyle (Newman) made the start in heat 14 but it got brought back, and we felt the start was quite fair. Star man Nick Morris top scored in the No.1 spot, whilst Chris Harris stepped in and added paid double figures after answering a late call to replace Lawson. But the visitors accounted for only six race winners and didn’t quite have the firepower to come out on top. Kevin Doolan 13+1, Nikolaj B Jakobsen 9+2, David Howe 7, Dany Gappmaier 6+1, Jye Etheridge 5+2, Aaron Summers 5, John Lindman 4+1.